At easy-oil-painting-techniques.org we are dedicated to protecting your data and privacy. We recognize that your privacy is important. This document outlines the types of personal information we receive and collect when you use easy-oil-painting-techniques.org, as well as some of the steps we take to safeguard information. This will help you make an informed decision about sharing personal information with us. easy-oil-painting-techniques.org strives to maintain the highest standards of decency, fairness and integrity in all our operations. Likewise, we are dedicated to protecting our customers' and online visitors' privacy on our website. easy-oil-painting-techniques.org uses information from Google Analytics to track the number of visits to the website, browsers and operating systems. No personally identifiable information is obtained from these cookies. We use the information that Google Analytics generates relating to our website to create reports about the use of the site. These reports allow us to update the site and improve your usage of it. 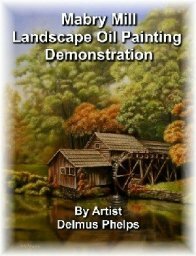 We receive an affiliate commission for some of the [products/services] sold on easy-oil-painting-techniques.org. If you choose to refuse easy-oil-painting-techniques.org's cookies, you may not be able to fully experience the interactive features of the site. easy-oil-painting-techniques.org may collect personally identifiable information from you in a variety of ways, including, but not limited to, when you visit our site, register on the site, or fill out a form, and in connection with other activities, services, features or resources we make available on our site. If we sell easy-oil-painting-techniques.org, the information we have obtained from you through your voluntary participation in our site may transfer to the new owner as a part of the sale so that the service provided to you may continue. In that event, you will receive notice through our website of that change in control and practices, and we will make reasonable efforts to ensure that the purchaser honors any opt-out requests you might make. If you wish to review your information stored on the SiteSell servers for easy-oil-painting-techniques.org, click here . You can also edit, download or delete any of your information from the servers by clicking on that link. All information given on this site is given in good faith and for educational purposes. How you use information is up to you entirely. Neither the author(s) of articles nor easy-oil-painting-techniques.org can accept any responsibility for your use of information given on this site. The views and opinions given on this site are of the author(s) only. You should always strive to double-check facts and methods for yourself to establish the validity of the issue. If you feel that any information supplied is incorrect or misleading please contact me to let me know. Use the contact form from the Navigation Bar. Information given on this site does not constitute advice and should not be used as such. This site is protected by US and international copyright law. It is now standard practice to disclose revenue sources of one's site. This site is able to continue because of the support of sponsors, advertisers and some affiliate links. While it is impossible to control every single advertisement on the site fielded by third-party sites, we attempt to make sure that advertisements generally conform to the ethics of the site. We will never knowingly promote products that we regard as sub-standard or harmful. All products recommendations on the site are done so in good faith and in the sincere belief that people will find items which are useful to them. If you believe that there are products recommended or advertised which do not fit with the ethics of the site, please use the contact form to let us know. I have been blessed with such great fans and readers. Yes, I take this seriously. A while back, after posting a recommendation in my ezine, I had such an outpouring of folks telling me it was a scam, I pulled all references to the ad. For those that sent me the info, a big THANKYOU! It's good to know people do care!